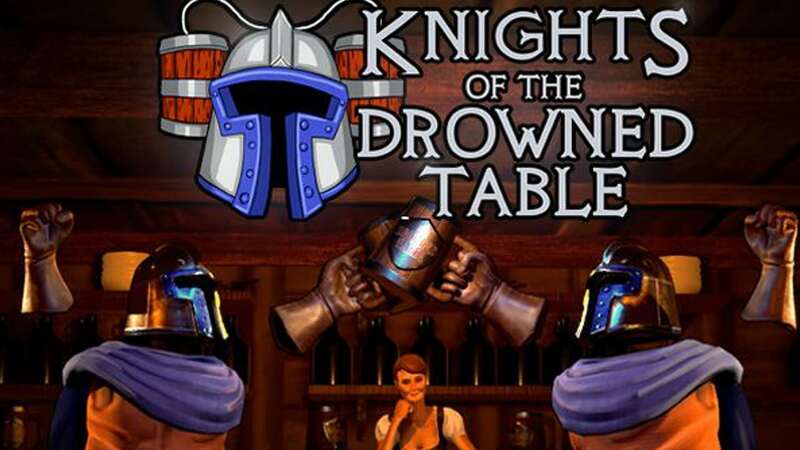 Knights of The Drowned Table is a fully immersive Virtual Reality game with an emphasis on humor. Players will be transported into a fantasy tavern, where they will encounter the local bar flies. Bring them a drink and they will tell you a tale. As they narrate their outrageous adventures, you and your friends will relive them through your own eyes. Players can chose to play solo or co-op in the story mode, or duke it out in PvP. By offering unique stories, levels, and a sense of humor all its own, Knights of the Drowned Table is a refreshing take on the genre. Join your friends as you relive outlandish tales told by the locals of the tavern. 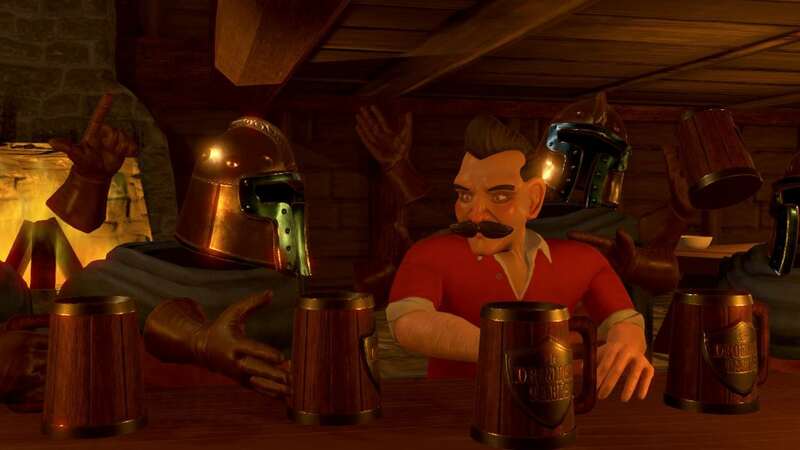 Begin your journey by bringing local patrons at the tavern a drink and relive their epic tales! Choose to fight your way to glory in player verse player battles, or perhaps you’d rather conquer large and legendary beasts with your friends. There is no doubt the multiple game modes and unique hand-crafted levels will keep you coming back for more. Regardless of the virtual reality headset you own, you’ll be able to play! Knights of the Drowned Table supports both SteamVR and Oculus Rift. Even better, you can also play with your friends from either platform! Knights of the Drowned Table requires the player to interact with the world. To pick up a weapon, you’ll need to reach out and pick it up with your hands! Need to avoid an incoming fireball? Duck! Hack and slash swords and maces to physically beat down your opponent. Take cover and unleash a volley of arrows to quickly dispatch your enemies. Cast mind-shattering spells to incinerate your adversaries. You face your foes YOUR way. Every level is brought to life by its own narrator. Relive every moment as the drunken patrons tell you a tall tale! Each level is different, and multiple patrons have a unique and hilarious story to tell. Each level is hand-crafted from start to finish by our art team. Experience engaging visuals as you explore arid deserts, snow covered peaks, lush forests, terrifying dungeons, and more. Knights of the Drowned Table is designed so that each story can be played with anywhere from one to five players. Each level scales in difficulty to match the number of players. Knights of the Drowned Table lets you chase fame, glory, and most importantly bragging rights by participating in Player vs Player combat. Multiple game modes will be available, including Free-For-All, Team Deathmatch, Capture the Flag, and Battle Royale. Every level requires new and different mechanics to complete. While searching through the dunes, you’ll need to complete a ritual to summon a powerful demon. Scaling the snowy peaks requires you to find warmth to fend off the cold. Unique challenges await in every level. Encounter hand crafted enemies in each level. Bug Dogs will rapidly swarm the player, while Sand Wurms will wait in the earth to attack. Every enemy acts differently and requires and different strategy to defeat.